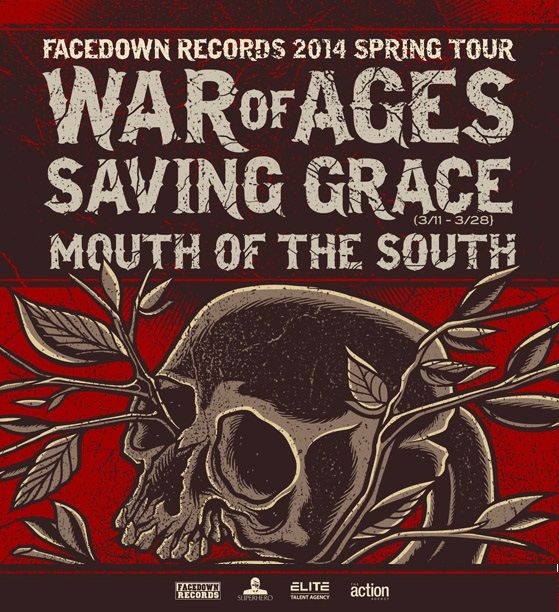 War of Ages will be burning up the roads on tour this spring with Saving Grace and special guest Mouth of the South! Saving Grace guitarist Vasely Sapunov says they are excited to be joing up with War of Ages and touring North America again this summer. “We are super stoked to be coming back to the United States to support what is by far our heaviest and best record yet”. The Urgency, drops next week.